Happy Memorial Day. Is it summer? Not officially until June 21--25 days from now. But unofficially, Memorial Day kicks off summer and thus summer grilling season. All week, I'll be looking at various ways to incorporate good smoky flavor into food and drink, most of which won't require a grill, since I don't have regular access to one. 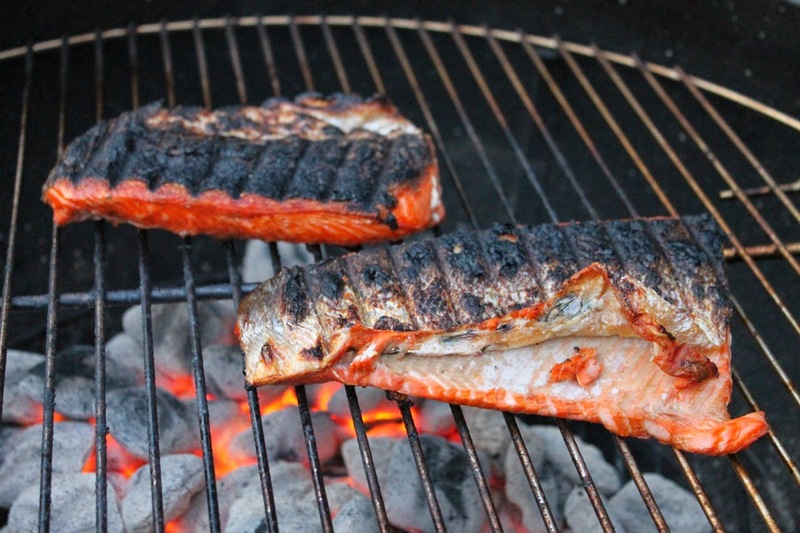 When I do get a chance to grill, I like to keep it simple, and there's nothing simpler than grilled salmon. With good, wild salmon, little needs to be done besides grilling it to add a little smoke and bring out its fresh flavor. A squirt of fresh lemon is a nice touch, as is fresh chopped herbs. 1. Prepare hot coals for direct-heat grilling. Heat grill. Brush salmon with olive oil and sprinkle with seasoning salt (or plain salt) and pepper, to taste. 2. 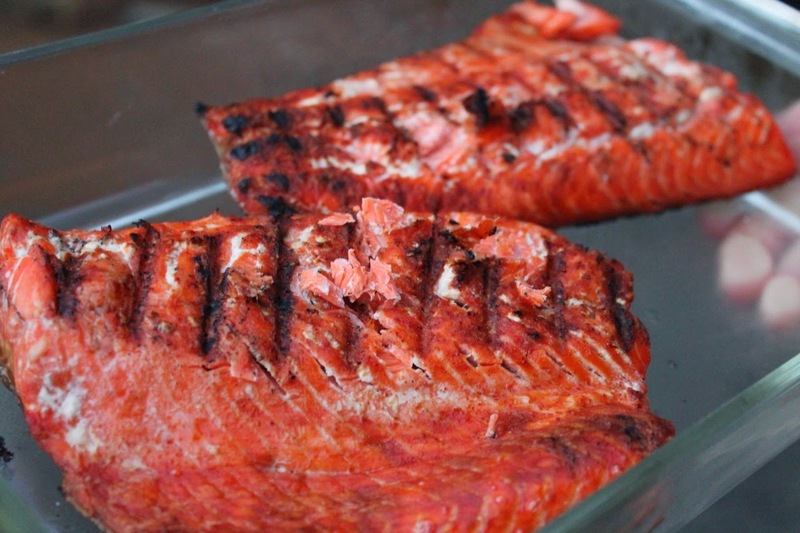 Place salmon fillets skin-side down on the hot grill, cover, and grill for 5 minutes. Remove lid and, using a metal grilling spatula, turn fillets over. Replace cover and grill for another 3-5 minutes (3 minutes will be a bit pinker; 5 minutes will be well-done). 3. Cut off the skin and serve on a platter with a squeeze of fresh lemon juice.